Predicting the future is rarely easy in any industry, but for those involved in planning the hospitals of tomorrow, it throws up the question of how these institutions can continue to be forward thinking while best serving the needs of their most important clients, the patients. 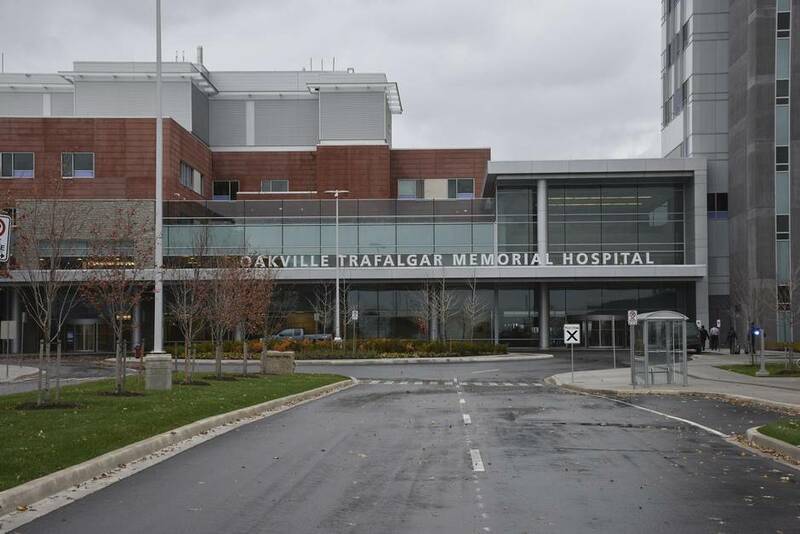 With that in mind, the new Oakville Trafalgar Memorial Hospital, which opened last December in Oakville, Ont., has tried to peer into the future of health care. At 1.6 million square feet, it is three times the size of the old one, which still exists across town. But while a greater footprint was determined as vital to serve the needs of the community over the next 30 to 40 years, the enhancements had to extend far beyond the extension of bricks and mortar. Teaming with technology giant Cisco Systems Inc. and contractor EllisDon Corp., Halton Healthcare Service’s $2.7-billion facility is the first digital hospital in Oakville and one of the first new hospitals to be built in the area in the past 30 years. 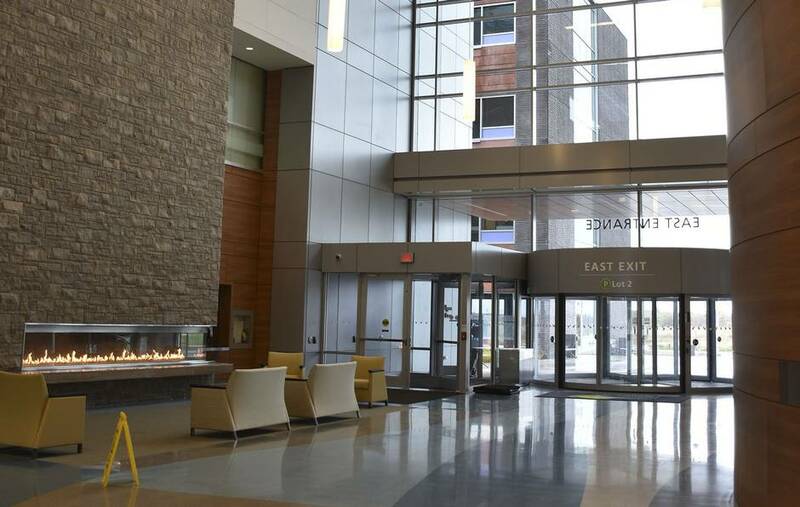 The new Oakville Trafalgar Memorial Hospital is 1.6 million square feet and was built at a cost of $2.7-billion. The technological enhancements include greater tracking of patient information, such as wirelessly updating patient records automatically, using wireless technology in lieu of noisy paging to ensure a quiet environment for patients, and the option for patients to register at kiosks and workstations at the entrance. This will have the dual effect of speeding up the process and collecting data at the same time. It appears that increased use of data may be the only thing we can be certain of in the future of health care. And so its ice storm-proof data room – “the heart of the whole hospital,” according to Rick Huijbregts, Cisco’s managing director for digital transformation and solution acceleration for the Americas – has plenty of room for expansion. “That’s the only thing we know for certain, that there are going to be new needs, new need for more data,” he says. The Oakville hospital has 12 operating rooms and two state-of-the-art magnetic resonance imaging scanners, and new services such as a radiation consultation clinic for cancer patients. “Smart” patient rooms, of which there are 457, will allow patients to access the Internet and operate the television from a bedside terminal, which will also permit control of ceiling-mounted patient lifts and the room’s lighting system. Improved security in the hospital was also a prime consideration. That was of particular concern in the maternity ward. With 12 operating rooms and two state-of-the-art magnetic resonance imaging scanners, and new services such as a radiation consultation clinic for cancer patients, the hospital is built for the here and now, but with one eye on the future. The new Oakville hospital features ‘smart’ patient rooms that allow patients to perform a number of functions from a bedside terminal. Looking into a crystal ball is exactly what Mackenzie Health, a regional health-care provider serving southwest York region in Ontario, was thinking when it signed an 18-year, $300-million agreement with Philips Electronics Ltd. late last year. 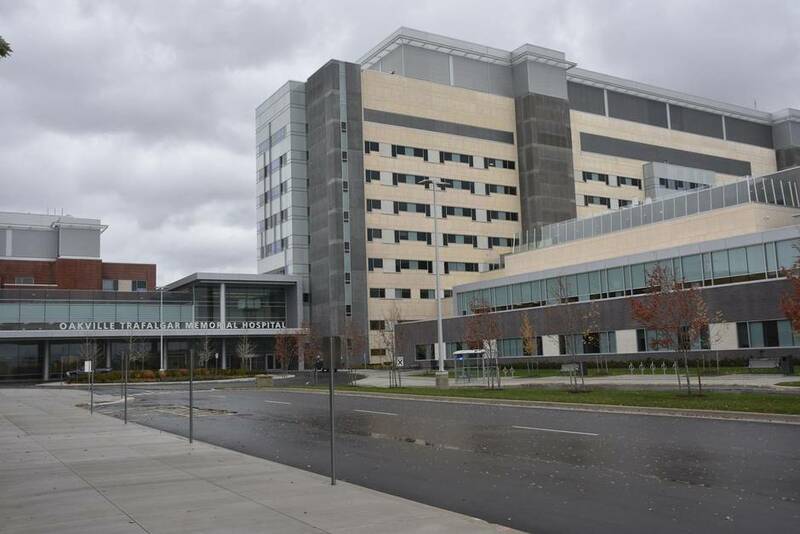 While the deal will ensure the procurement, installation, integration and maintenance of the latest equipment from both Philips and other vendors for the existing Mackenzie Richmond Hill Hospital, it will help out with the planning of the new Mackenzie Vaughan Hospital, set to open in 2019-20. Technology forms an increasingly dominant part of hospitals, with Altaf Stationwala, president and chief executive officer of Mackenzie Health, estimating that while it formed 10 per cent of projects 15 or 20 years ago, today that figure is closer to 30 or 40 per cent. The Oakville hospital comes with tech-driven security that includes measures to protect against infant abduction. That has to be reflected in the way hospitals are constructed, with Mr. Stationwala saying it needs to be approached along the lines of how an automotive plant gets built. “You put the assembly line and all the technology and the robotics in first, and then you put the shell around that assembly line because that’s the more expensive, complex piece,” he says. When it comes to building the new hospital, for example, Mackenzie Health is consulting with Philips on exactly what the health-care equipment of the future will look like, so that there isn’t a huge retrofitting cost to install new equipment in the hospital. Ultimately, though, Mr. Stationwala says the fewer people who have to come to the hospital the better, both for the patients themselves and the facility. He envisages hospitals eventually becoming “the hub of co-ordinating care,” but a place where patients come as a last resort. “The future is just having, on your smartphone or your device of choice, the ability to manage anything from scheduling appointments, to accessing personal information,” he says. For example, Philips is undergoing a pilot study with Trillium Health and Cancer Care Ontario with cancer patients coming out of hospital where they can remotely monitor white blood-cell count, a key indicator of how they are doing, and whether they have to come back to the hospital. In the end, Mackenzie Health and Philips see their partnership as an attempt to make health care as user-friendly and accessible as online banking.